TYPICAL PRODUCTS. Taste and Tradition. 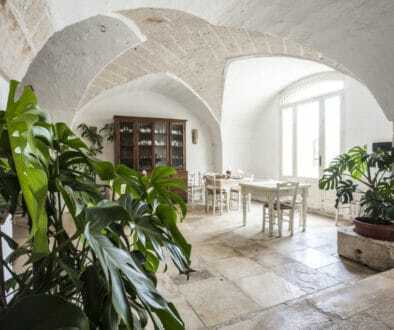 The olive growth and the olive oil production dates back to five centuries ago and it is linked to the Amati’s family. 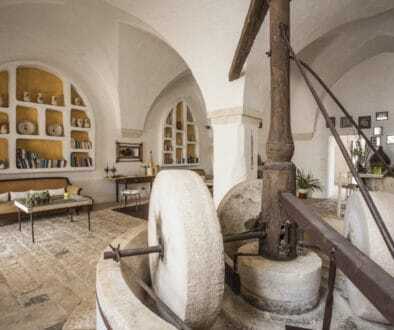 By the end of the Eighties, while remodelling the ancient Abbazia di S. Angelo de’ Graecis (close to Borgo San Marco), they created a small olive oil museum with old machines from the 1500’s to the end of the 1900’s. Our extra-virgin olive oil (EVOO) is made from our olives, by cold pressing in our estate. They are picked by hand and machines and the milling is made within 48 hours from their harvest. It is a mix of frantoiane, picholine and coratine olive varieties. If you come across the aroma, it is mild and balanced, with a hint of fruits and almonds. It is perfect for any kind of cooking use. This year you can also enjoy the precious olive oil of our millenary trees. Do you want to buy our oil? Click here to visit our ecommerce section!